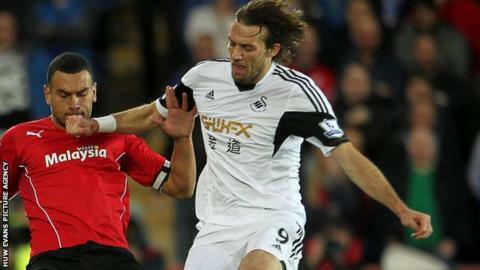 Former Swansea City forward Michu has signed for Spanish fourth division side Langreo. The 29-year-old left Swansea in November after agreeing a financial settlement with the club for his departure. He has been training with the club in north-west Spain since returning home. Michu was Swansea's top scorer in the 2012-13 season with 22 goals in a spectacular first term following a £2m move from Rayo Vallecano. But prior to his release, the striker had not played for Swansea since April 2014. The Spain international spent last season on loan at Napoli but injuries meant he only played six times for the Italian side. He returned to Wales after the Serie A club opted not to buy him but was not part of former Swansea manager Garry Monk's plans. Michu won a Spain cap in 2013 and was linked to Arsenal and Liverpool after his successful first season in British football.